Finding a job in marine conservation isn’t easy. That why we created a unique internship for you that will help you to develop your skills and to gain more experience in the field. Our academic internship is ideal for a recent graduate who is interested in working together with our international research team while living on a tropical island in Indonesia. During your internship you will be involved in various aspects of our shark and marine conservation research; from dropping the BRUV and taking identification pictures to analyzing data, community outreach and project development. 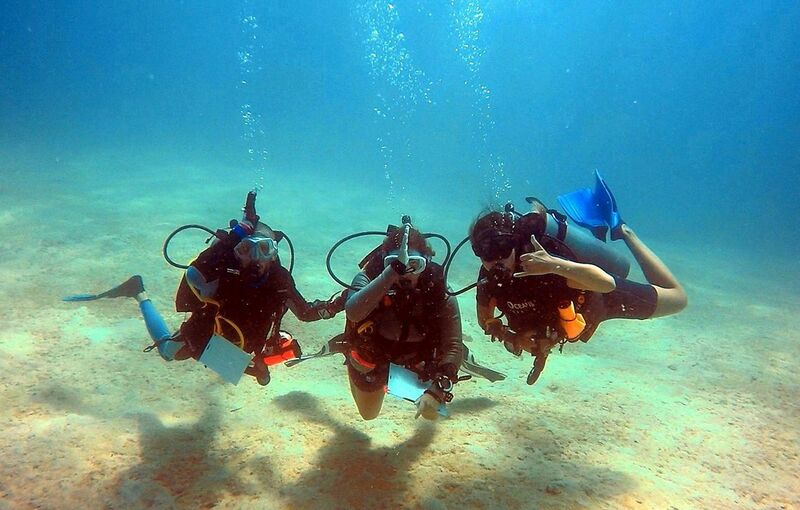 We will help you wherever we can to provide you with an amazing experience in the marine conservation field. We are a small, grassroots organization designed around conservation through citizen scientific research. We are all working very closely together and have a team/family-like atmosphere. There are 12 spots available in our research team and one of these spots is reserved for our Academic Intern. You will be a critical member of the team and will be assisting the Lead Marine Scientist to analyze the project’s data for possible publications and developing the scientific side of the project. What is included in your internship? Whats not included in your internship? Fill in the application form below with a brief description on why you think you are the ideal candidate for our Academic Internship and when you would like to join our marine conservation project. Our program manager will review your application and you will receive a response within 3 working days. If we accept your application we will send you a short questionnaire to get to know you better.